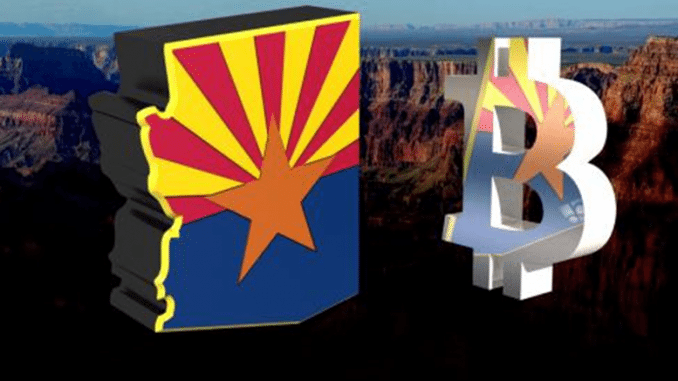 The world might be deliberating prohibitions and regulations on crypto activity, but in Arizona, they have embraced it so wholeheartedly that public records show that there has been a hike in the number of blockchain bills in the state’s legislature. The state’s Senate has already passed a bill that approves its inhabitants to be able to pay their taxes in cryptocurrency. This new bill didn’t just pass all the stages in Senate as smoothly as one would believe. Arizona’s Senate minority leader Steve Farley was of the opinion that the volatility of the bitcoin might be a problem when it relates to tax payments. His fears were somewhat allayed when Arizona’s Department of Revenue confirmed that they would have only 24 hours to change the bitcoin payments into dollars. The bill has already gone on to the state’s House of Representatives. If it is successfully passed, the state could soon start collecting bitcoin as an accepted form of tax payment. Jeff Weninger, a Republican member of the Arizona House of Representatives (who was also very instrumental in the passing of the first bill) introduced two new different means focused on blockchain – one of which would start the process for an administrative structure for initial coin offering (ICOs) implemented in the state. It should be noted that two new bills brought up by the representative comprise of words like “blockchain”, “virtual coin”, “virtual coin offering” and they are potential terms that might be added to the Arizona government’s catalog of definitions. The virtual coin is defined in the first bill as a medium of exchange that can be traded digitally. A virtual coin has virtual value and can be used to store value. The second bill tweaks the provisions of the Arizona Revised Statutes that pertain data created and stored by blockchain. The bill is in relation to the one that legitimized blockchain signatures and smart contracts implemented last year. This bill makes digital signatures have the same enforceability as written signatures. Arizona’s law now directs that smart contracts are to be also recognized and enforced. The Arizona Electronic Transactions Act (AETA) provides that virtual signatures areas enforceable as written signatures. HB 2417 stipulates that signatures, e-records, as well as smart contracts — made through blockchain and entrenched by UCC Articles 2, 2A, and 7 — are recognized as legal e-signatures under the appropriate Arizona Act. Using the “killing two birds with one stone” analogy, the legislature arm of the Arizona government has given a very comprehensive definition of cryptocurrencies and has ensured a solid foundation for contracts which are implemented using them. This means it’s now easier for people to meddle in the cryptocurrency world while ensuring they can do business with it. It is worth to mention that the Arizona government perpetually sets up processes that strengthen the harnessing of the blockchain technology’s features. Weninger is of the belief that cryptocurrency payments posses a multitude of merits which include the ease at which it can be used and the convenience it has.